NYC has such amazing places to eat and Eataly, (such a creative name! ), is surely one of them. I would have had something semi-decadent, like a Nutella crepe, (or two, which I, myself, have mastered). 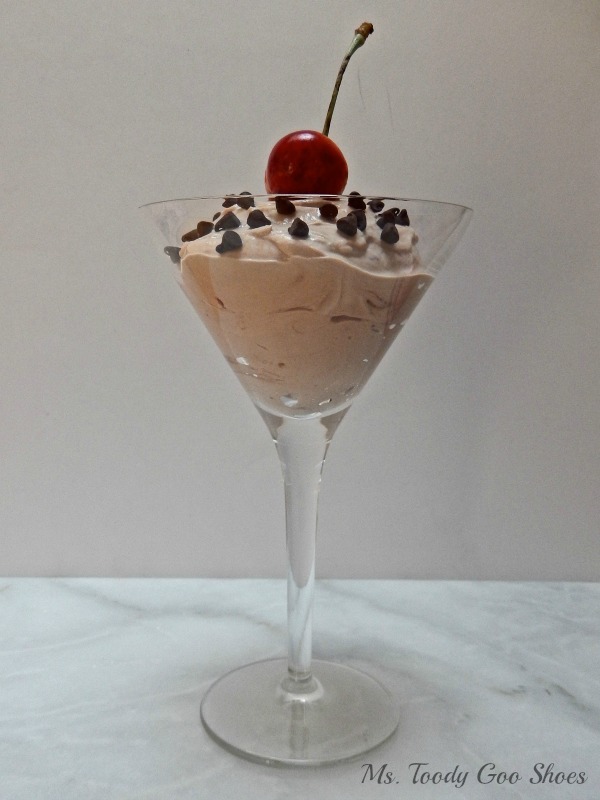 Your Nutella yoghurt recipe looks very tasty, and I'm willing to try it, seeing that I am a recent yoghurt enthusiast, (sounds intriguing, but actually, quite foolish of me, having lived in the world's #1 producers of deliciously healthy yoghurt, which, btw, I see you consume, too, having used our FAGE TOTAL for your culinary concoction!). It took all of my self control to not order something more decadent! (Plus I had just eaten lunch!). I'm happy that you have become a yogurt convert! And, I only eat Greek yogurt...Fage is my fave! 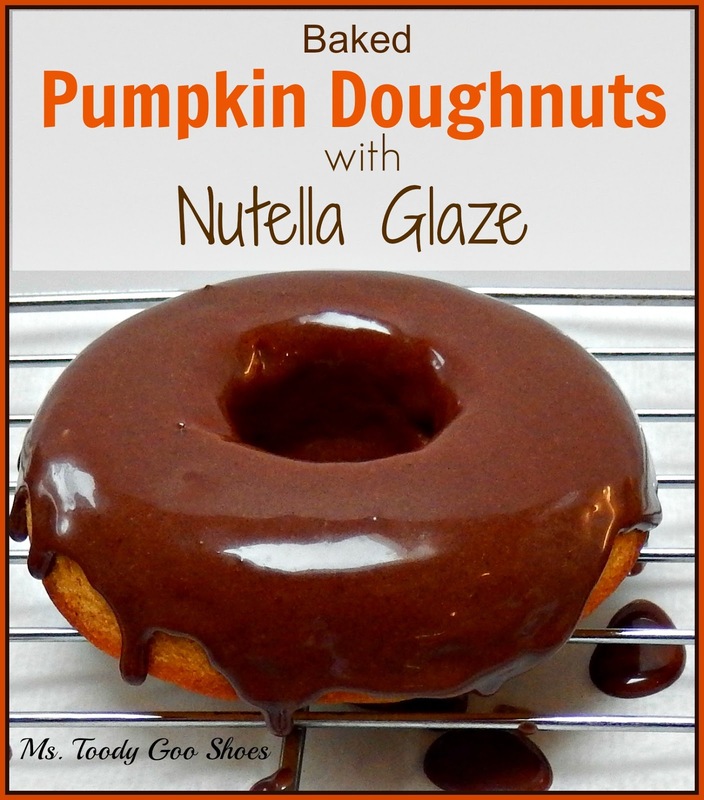 Give it a try with the Nutella, Poppy...yum! 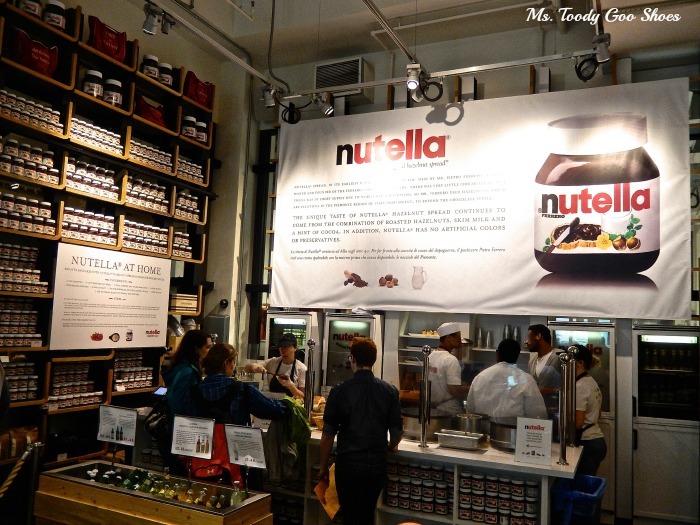 I hadn't given nutella a try, but after seeing it has it's own bar, I HAVE to give it a try! I think I'll start with your creation, sounds easy and yummy, too! Well, Patti, I think it's time to give it a try! It's a nice treat every now and then, and relatively speaking, there are worse things to eat than one spoonful in fat free yogurt! Hope you like it! 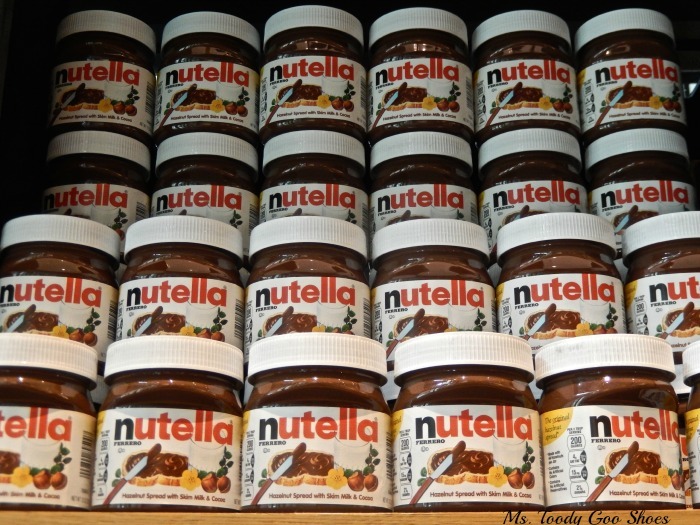 I love Nutella and haven't had any in months. May have to try some in yogurt. My oh my that Nutella bar is unreal. I know you have been very careful about what you've been eating, but if you ever feel that you need a small treat, one spoon of Nutella isn't all that bad. 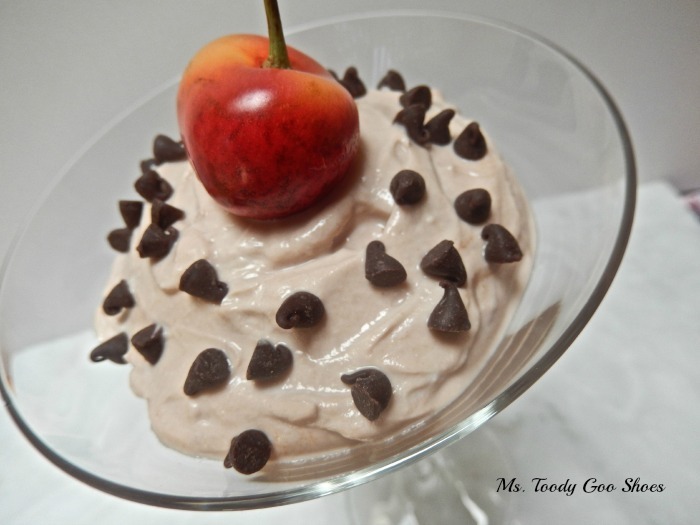 With fat free yogurt, it's filling and satisfies my sweet tooth! Oh my, a whole Nutella bar? Wow. 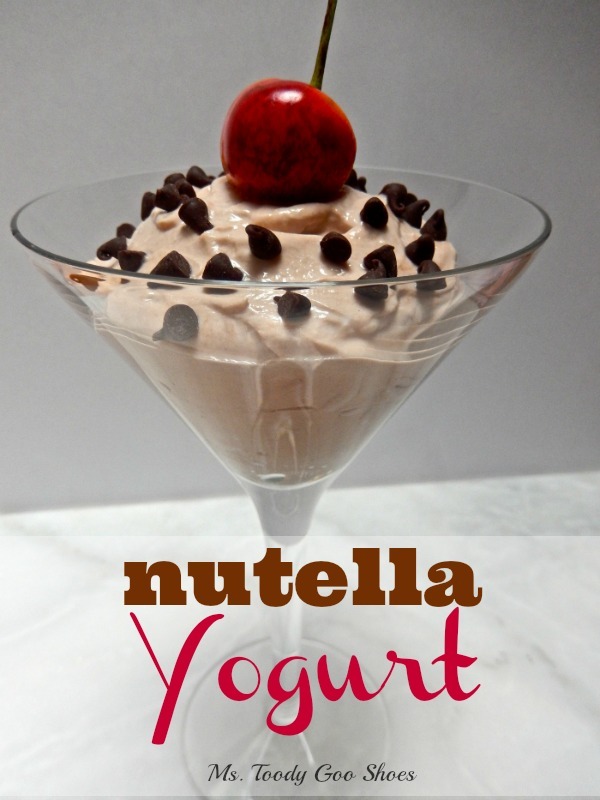 And I would have never thought to put Nutella in yogurt so I will continue to be WOW-ed by your creativity! It was quite something, Michelle, as was the entire Eataly space. 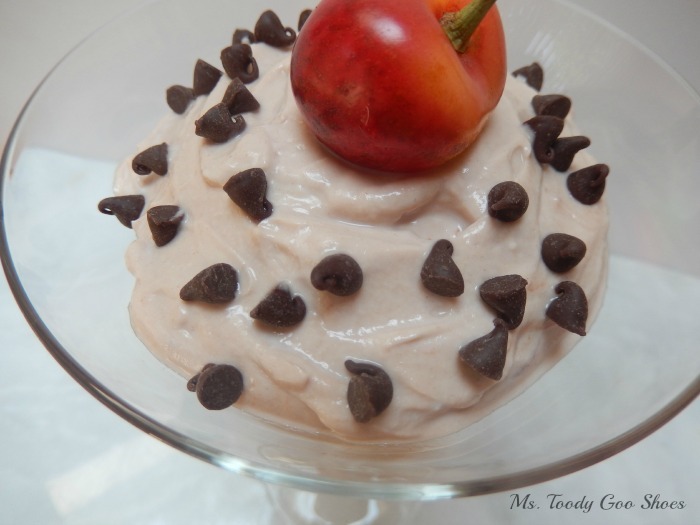 Nutella in plain yogurt is surprisingly satisfying when I have a sweet tooth! Thanks again for letting me know about the Nutella Bar, Beth! And enjoy the "yogurt!" I know this is going to sound like an odd question, but what does nutella taste like? I've never tried it. I've always thought it was a hazelnut chocolate blend. I'm not a fan of hazelnut. I like your idea of mixing it with yogurt though. Not odd at all, Kelly. I was just at my very good friend's house, who told me she never had it, either, and basically asked the same question. It is a hazelnut chocolate blend, but the chocolate is the dominant flavor. It's the texture of creamy peanut butter. As much as I do like it, I don't eat it all that often, just as a treat once in a while. What the heck, give it a try! It's in the peanut butter aisle. You can always toss it in the garbage, but I bet your boys will love it! It's great on toast, waffles, bananas, ice cream, apples, and of course, a spoon! Try it, Julie! It's a really satisfying treat! OMG..A NUTELLA BAR! I would die in there eating it all! I will have to try your recipe..it sounds like HEAVEN to me! 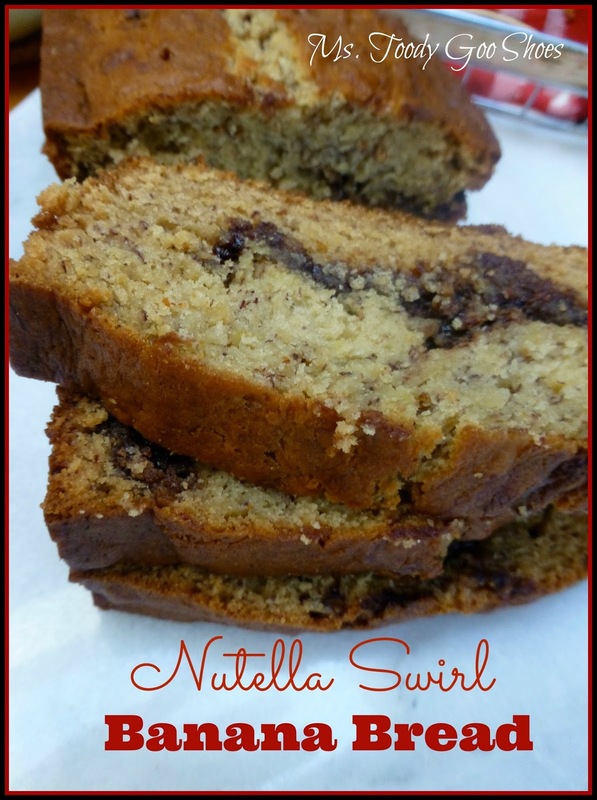 I would love for you to share at Party in Your PJs...the more nutella recipes that better! i know, it was like heaven! I'm going to hop on over to your party! It certainly is, and that Nutella Bar was insane! Wow. That place looks like fun. I forgot about shmear! How funny. You make me laugh with the not checking Pinterest. I think that same thing. It was amazing, Katie! I want to go back and eat at some of the cafes inside Eataly. This made me hungry! I can't believe I never noticed the Nutella bar at eatery! I've been twice. Maybe it's a recent addition? I think it is fairly new, Doreen. Maybe a few months? I surely did, Deb, and I plan to make a return trip! Dear Amy, I always enjoy reading your posts. You are so engaging and enjoyable. Thank you so much, Catherine...your kind words mean the world to me! Definitely go to Eataly! 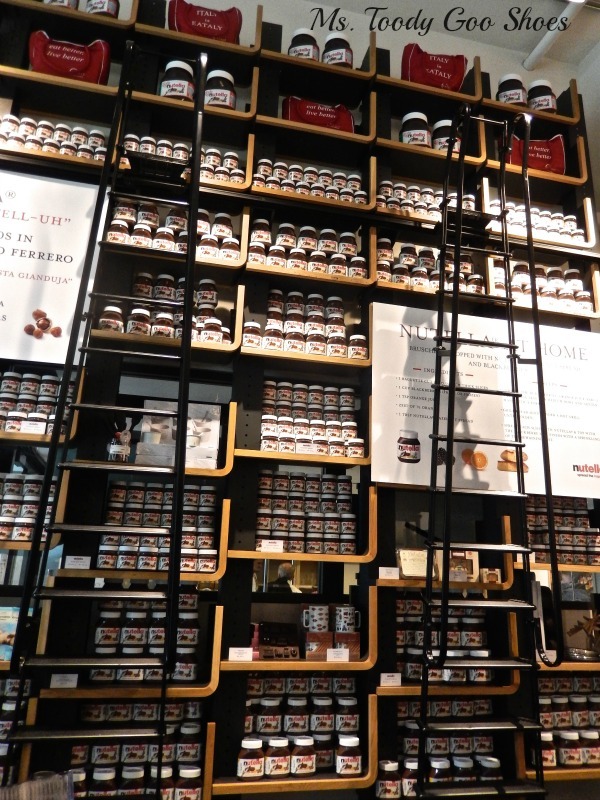 I found Nutella when I was in Paris a couple of years ago. I wish I had never known it existed. I have tried to avoid it every since, of course, after I had emptied several jars. It is "heaven in a jar", but I can't afford the calories or the sugar. 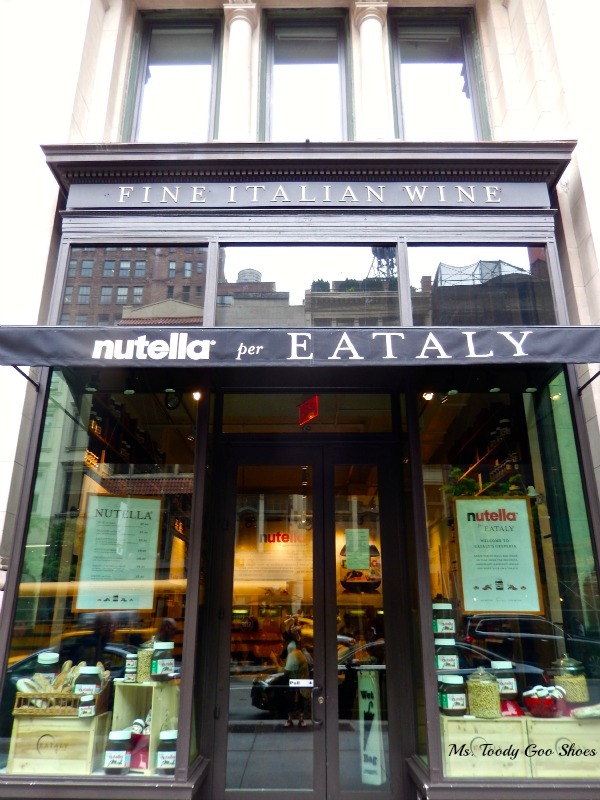 I would have to check out the Nutella bar if I made it to Manhattan. I don't eat it often, for the reasons you mentioned, Betty, but every now and then it makes for a nice treat! Thanks for visiting! 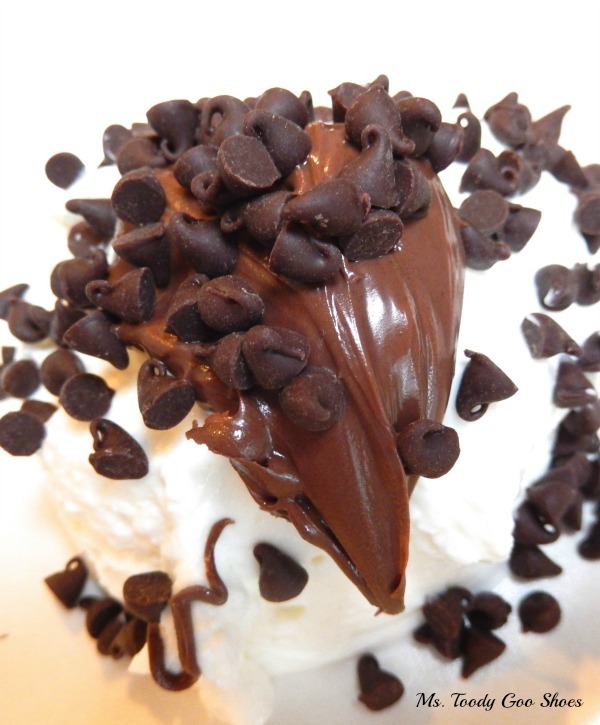 Yes, very worthy of the triple Yum status! That's an impressive store. 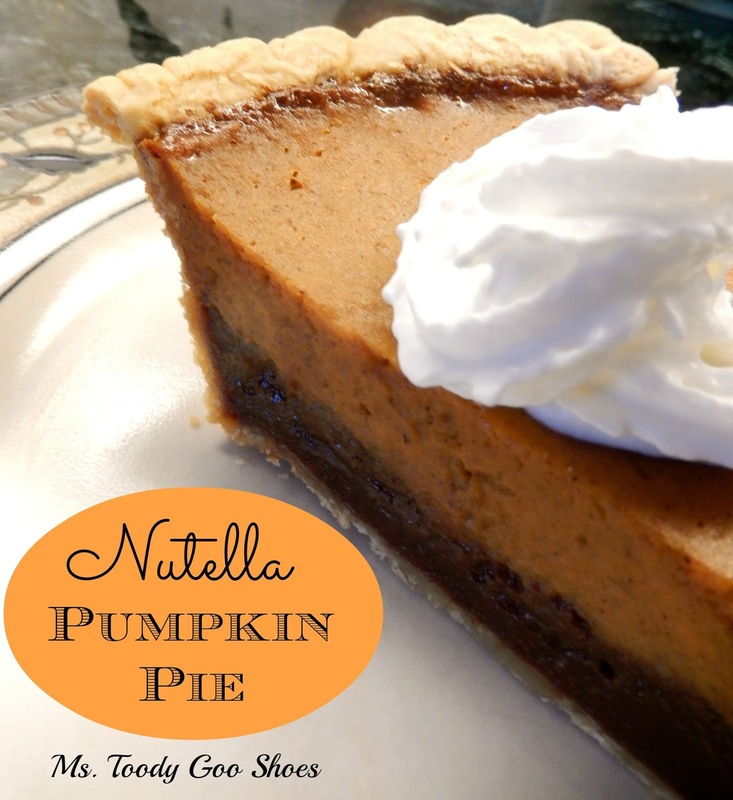 You have a Nutella pumpkin pie? That sounds fantastic. Thanks for sharing at Home Sweet Home. Oh, the pumpkin pie was amazing! Thanks for hosting HSH! Simple is great! 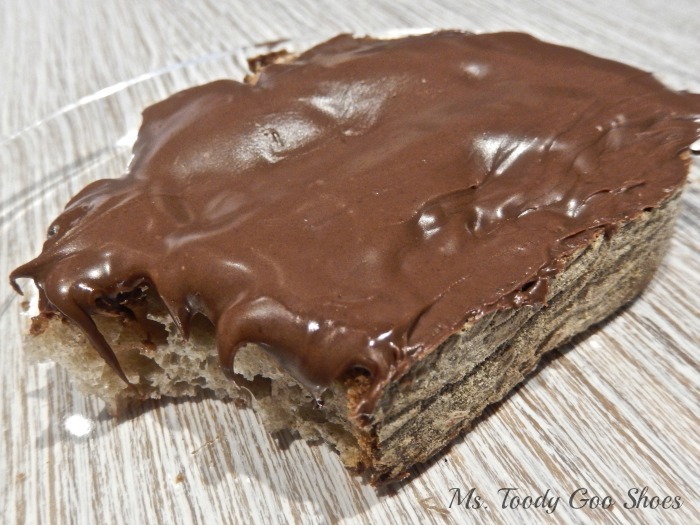 And really, how can you go wrong with Nutella? This looks totally fabulous, and if you peruse Pinterest, you'll find it - I'm pinning.